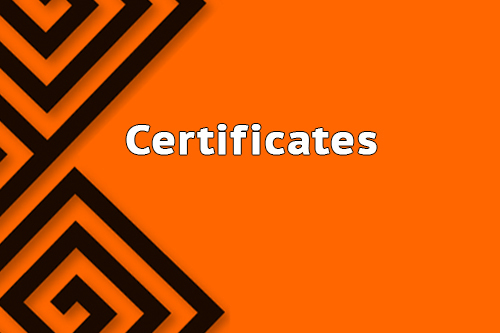 Get your certificates print-ready file with Low Cost Web Agency. Reward your trainees, customers and suppliers with a beautiful certificate! Mainly, this Gig is used by companies who like to get a good image of themselves. As example, when you are providing training, you often end a training course with an exam. To congratulate all your trainees, you get here the possibility to create your own certificate with your training name and brand name. Everything can be customized according to your wishes. Get your print-ready file in one click! Quality is Low Cost Web Agency priority in order to satisfy its customers, thus, we provide a file ready for printing without defeat. You can then make it print around or directly with your Office colour Printer. As you or your printer may not be fully expert with certificate designing, there is a real added-value to adopt Low Cost Web Agency offer. However, your printer will provide you the suitable paper and ink quality. If you still haven’t selected a printer partner, we recommend you our partner Vistaprint. Low Cost Web Agency, the ideal solution for quality and saving lovers. What else, order your new certificate!